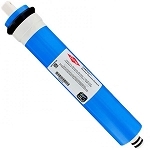 Our inventory of reverse osmosis membranes offers many different and a variety of RO membranes. 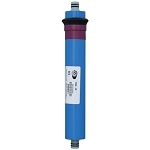 When it comes to reverse osmosis membranes we are proud to offer our shoppers an impressive collection of options. 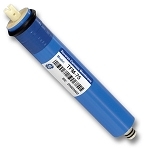 The following looks at some of the features of our reverse osmosis membrane inventory. Find out why many shoppers in need of RO membranes turn to us! 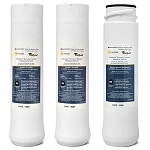 GE, Whirlpool, and CUNO Water Factory are just a sampling of the trusted manufacturers that we include in our inventory of reverse osmosis membranes. We understand that many shoppers appreciate an RO membrane selection that boasts lots of reputable brands. 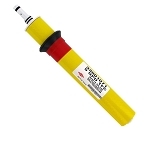 Consequently, when a customer makes a purchase from WaterFiltersFAST, they can feel secure about the quality of the product. In addition, we understand that many of our shoppers have a loyalty to certain brands; we carry many brand name RO membranes, so customers can quickly find a product to fulfill their needs. 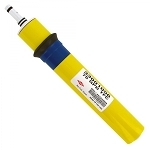 We have a RO membrane replacement product to fit the needs of any customer! Our reverse osmosis membrane selection provides customers with effective products. 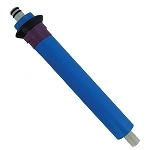 An RO membrane replacement must have the power to filter out a variety of contaminants and impurities from a supply of water. The reverse osmosis membrane replacement selection at WaterFiltersFAST provides customers with filters that can remove and reduce contaminant particles from a supply of water. Our RO membrane selection allows shoppers a choice of reliable, effective products. Durability is another positive feature of the products in the RO membrane selection at WaterFiltersFAST. 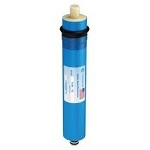 We have reverse osmosis membrane products that are effective for long-term use. 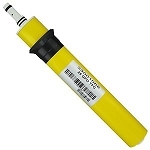 The description of each RO membrane includes information on how long it will last. The RO membrane products at WaterFiltersFAST are made to endure the heavy demands of busy households. Our customer service agents at WaterFiltersFAST make it easy for customers to find answers to their questions. For instance, a customer may call with a question about a reverse osmosis membrane replacement. Our talented customer service agents can answer RO membrane replacement questions, as well as many others in a prompt, courteous manner. So, whether a customer has a reverse osmosis membrane replacement question or a concern about a delivery, we have people who can help!